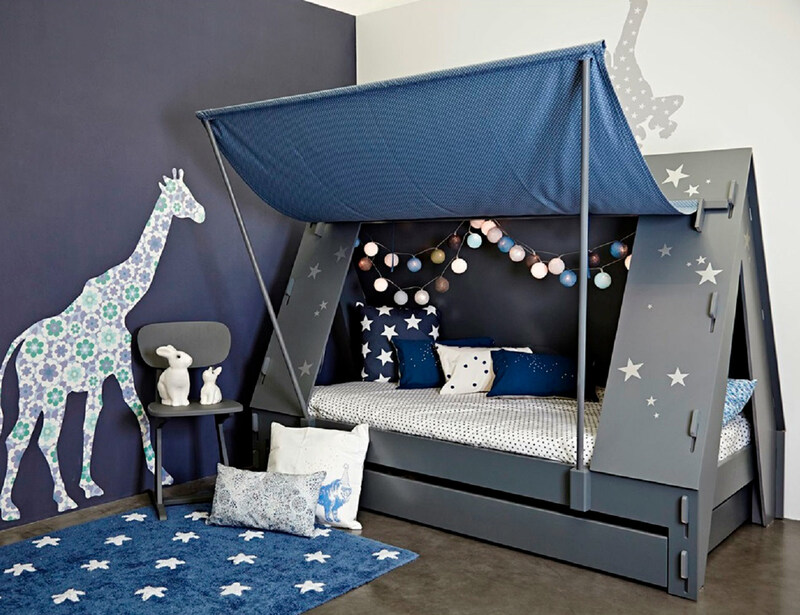 Send your kids on a super cool adventure right from their bedrooms by making their playtimes real fun on this Kids Tent Cabin Canopy Bed. 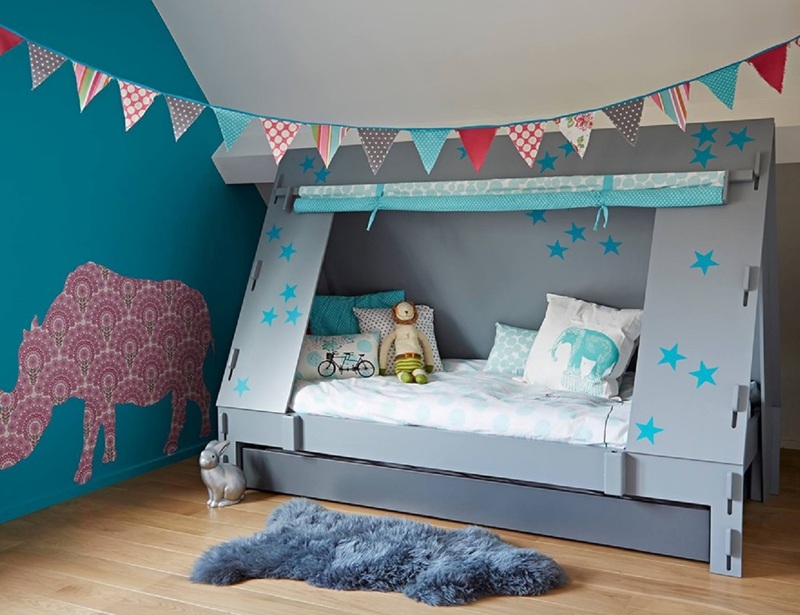 What makes the bed unique is the fact that it can work both as an enclosed bed as well as open up into a canopy by supporting the cloth side wall on two poles. 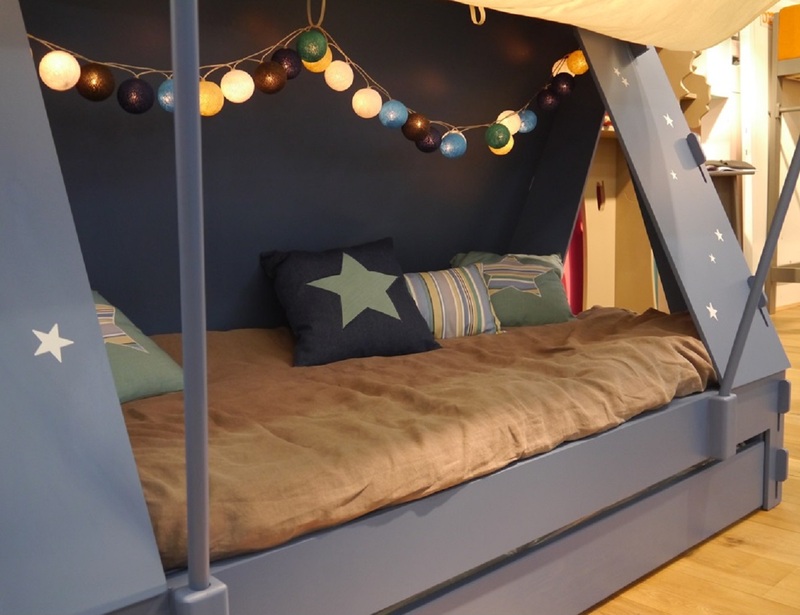 Incase your kid plans to have a sleepover with his best buddy, the sliding bed underneath can be put to good use then. 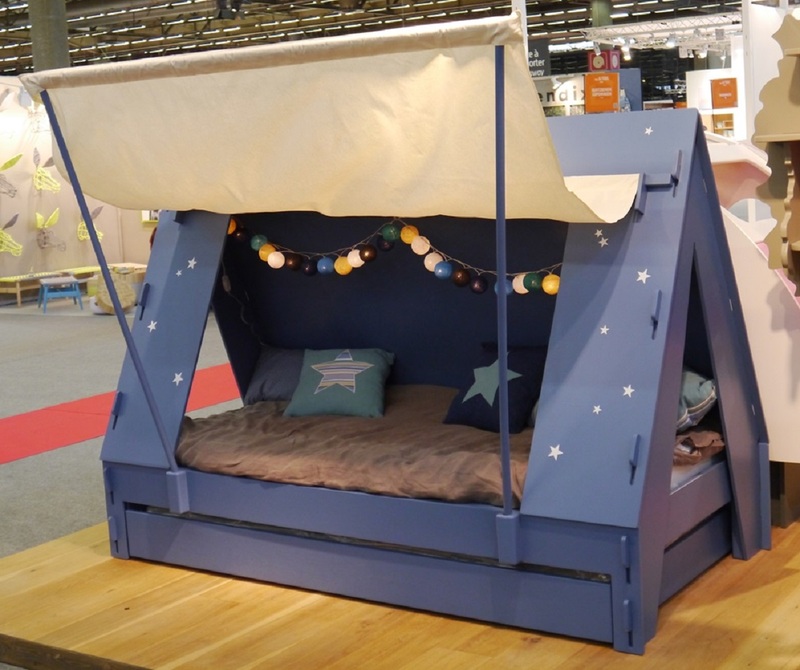 It’s one of those beds that can help your kids to live their dreams and have that wonderful feeling of being on a campsite every night. Let them cherish their childhood like an adventurer.